Sea-saw battle between Chinese players Yulu Bai and Thandar Muang of Myanmar ended in favour of Yulu Bai. 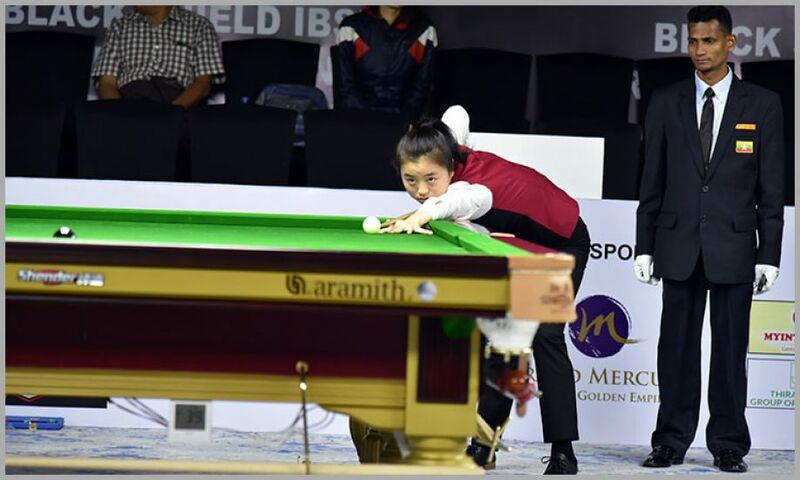 Yulu Bai began with a quick sparkling break of 40 points and led initially but Thandar curtailed her on 8 points in next frame to stay at par. In third frame, Yulu Bai made a comeback and won the frame scoring 66 against 25. She was looking for an early finish and moved accordingly but missed out narrowly when Thandar clinched the frame on black ball game. Any loose string could have been against Yulu and n such do-or-die situation Yulu Bai made a rescue break of 34 points in deciding frame to save the match 3-2.